Inter Milan could attempt to persuade Paris Saint Germain star Angel Di Maria to move to Italy, but only if their bid for James Rodriguez falls through. Inter Milan’s pockets are bulging after the club was taken over by Suning Holdings Group in July. With new owners and new found cash to spend, the Serie A club are determined to spend big and forcefully earn back their status as one of Europe’s elite clubs. Having splashed the cash on players such as Joao Mario, Antonio Candreva, and Gabriel Barbosa in the summer, the fallen Italian giants are still aiming to make a blockbuster signing in the upcoming transfer window, which reopens in January. The club are said to have tried, and failed, to sign Real Madrid attacking midfielder James Rodriguez in the summer, but it appears that they have not given up hope just yet. Italian news outlet Calciomercatoweb claim that Inter will make one last push to sign Rodriguez – who is currently out of favour under Zinedine Zidane at the Santiago Bernabeu – in January. 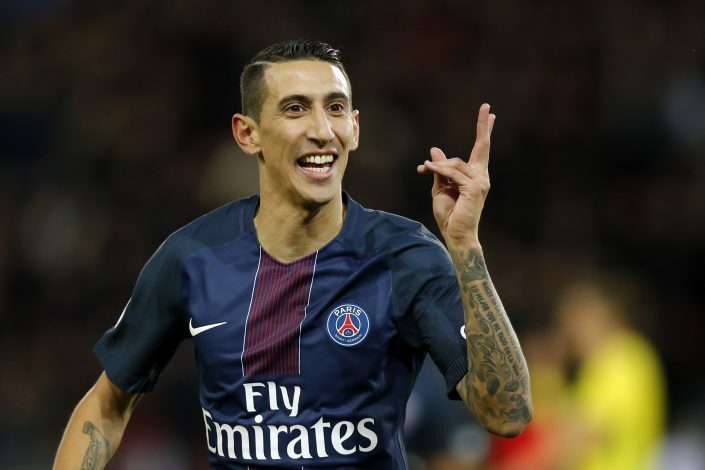 Should they fail to sign the Colombian, Stefano Pioli – who replaced Frank de Boer as Inter manager following the Dutchman’s sacking after just 14 games in charge of the club – has apparently identified Angel Di Maria as a suitable alternative. According to reports, Di Maria has grown disillusioned with life in the city of lights, and could be looking for a way out. The Argentine playmaker has struggled to find his best form so far this season. Los Blancos are said to be quoting a stunning £72.5 million asking price for James Rodriguez, while Di Maria would cost comparatively less, at £51.5 million.